KnowBe4 is a world-leading security awareness training firm, recently recognised by Gartner as a Magic Quadrant Leader. Starting from just €500 / year! #1 Cause of Ransomware and Data Breaches Worldwide. SOLUTION: We Train & Phish Your Staff - Creating a Human Firewall for Your Business, Reducing Your Risk of a Cyber Attack by up to 95%. is the single, most important factor in preventing cyber-attacks in the workplace. them on their toes and cyber aware and they keep your company's security top of mind. It couldn't be easier - you provide their company email addresses and we take care of the rest. designed to keep your staff educated and alert, while increasing GDPR compliance. 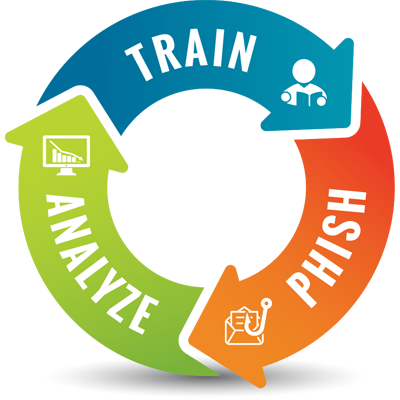 Our fully managed security awareness training service includes the training, testing, phishing, analysing and re-training of staff in a comprehensive, cost-effective manner - with full reporting of progress back to management. Traditional security training with dull videos or long Powerpoint presentations just doesn't cut it in today's world of complex and ever-evolving cyber crime. 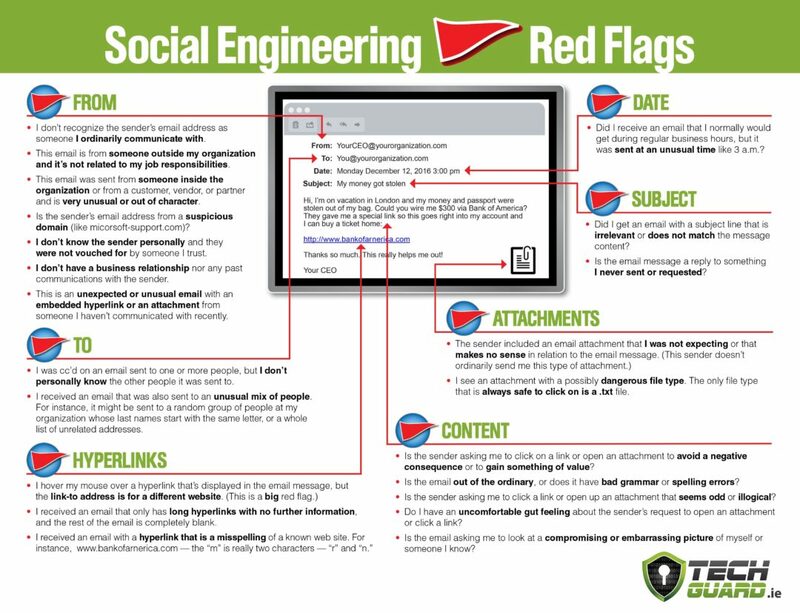 The Tech Guard Security Awareness Training and Testing Service is engaging and easy, and always up-to-date with the latest phishing scams and malicious attempts to access your data. Training is practical and on-going, so it's easy to keep staff alert and educated. Best of all, it is entirely managed by Tech Guard - so that you can sit back to enjoy the results and have complete peace of mind. Over 50 training modules available to increase GDPR compliance - including all new module to explain the upcoming General Data Protection Regulation to staff! top of mind for your staff. can instantly see their ROI. We attack your staff with emails spread over time. Employees get a different phishing email at a different time. Just like the hackers do. More than 500 highly realistic phishing emails in our database. Studies have shown your employee Phish-prone percentage drops more than 90% with regular training and phishing of staff. Our quick remedial training for clickers we catch, greatly helps keep security front of mind. - you name it, we most likely have it. Our ongoing security awareness training service has a proven track record, proven results and proven security. Demonstrate to management or investors how your risk has reduced with our in-depth reporting. Article 39(b) states that staff must be trained to securely protect the data they handle. Phishing is a leading cause of data breaches and failure to train staff can lead to large fines under the General Data Protection Regulation. We are constantly creating new email templates that mimic the latest scams hitting businesses worldwide. With 500+ templates in our database your staff will always be kept on their toes. We customize templates, landing pages, attachments all tailored to your environment. 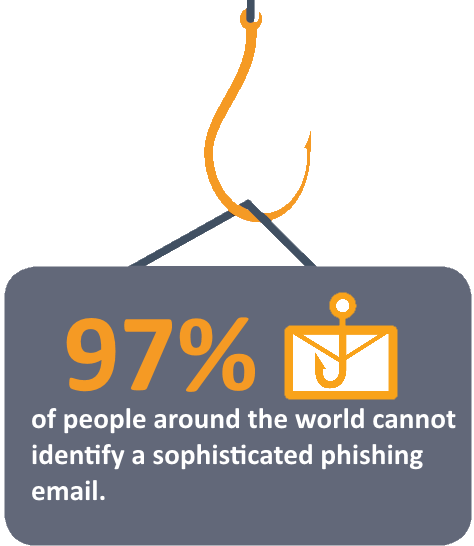 Prefer to leave the training and phishing to the experts, so you can get on with business. We report on everything so management don't miss a thing. Want to test the Finance team for CFO fraud, want to test if your staff would reply to hackers - we can do that. Posters for office, and much more. Have you heard about the GDPR, the new EU regulation that will supersede Data Protection laws in Ireland and across Europe by May 2018? Article 39 (b) states that company policies must include "awareness-raising and training of staff" that handle data in order to be compliant. Companies that fail to do so will be liable for fines of up to €20 million, or 4% of gross turnover (whichever is higher). 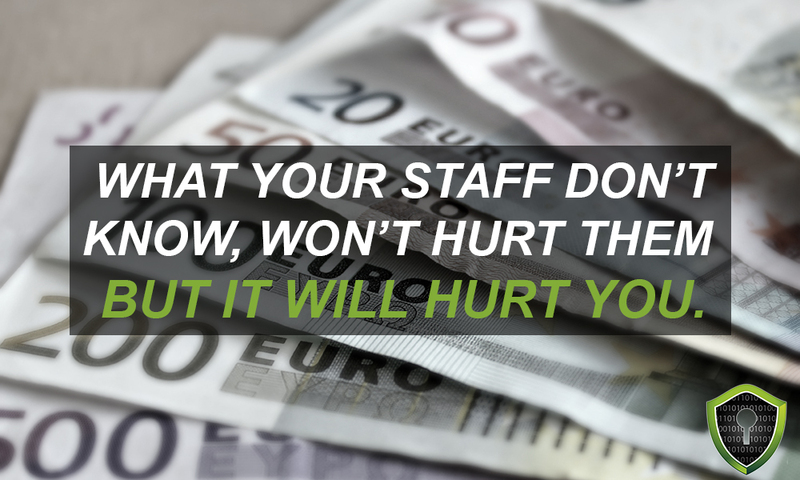 Security Awareness Training and Testing for your staff may prevent you from being fined an arm and a leg, but it doesn't mean it has to cost you one. Simply fill out the form on our website to get in touch with our team today, and get a quote for your business. FIND OUT HOW PHISH PRONE YOUR STAFF ARE TODAY?